To my recollection, I've never met Dave Kleh. But based on my limited knowledge of him, I suspect he's an interesting fellow. Kleh has been an active musician locally dating back to the late 1970s. For the last seven-ish years, he's been the leader of a band called the Fizz. Originally dubbed Flood in the Fizzy Factory before they settled on a less cumbersome moniker, the group has undergone numerous lineup changes over the years. Every now and then, Kleh will fire off an email updating me on those changes. One message in particular chronicled every change he's made for the past several years, and why. It was an epic, strange missive. And, as many of his emails do, it came from his work address, accompanied by the dorky headshot of a corporate real estate agent. It would be easy to dismiss Kleh as just another middle-aged dude clinging to youthful dreams of rock stardom. But there's something about his latest solo record, Me & My Friends, that suggests Kleh and his music have been unjustly dismissed. Like I imagine Kleh himself to be, the record is deeply quirky, with an air of self-importance that doesn't quite make sense at first glance. But dig beneath the surface and there's no denying the album's — and Kleh's — idiosyncratic charms. Me & My Friends is a retrospective that chronicles his musical efforts over three-plus decades. As the title implies, Kleh enlists the help of some talented players along the way, most notably guitar ace Bill Mullins and saxophonist Joe Moore. The cameos are nice: Moore's work on the 1979 cut "Tribute to Zoot" — an homage to late N-Zones front man Zoot Wilson — is especially good; and Mullins is, well, Bill friggin' Mullins. But Kleh is the album's most intriguing character. In reviews of his previous works, I've written that Kleh's attempts at new-wave absurdism fell short because they didn't quite go far enough into the surreal. Think Talking Heads-lite. But given a chance to view his music in a wider context, it seems that Kleh is simply a more gentle spirit than I initially observed. As he proves on cuts such as "What You Do to Me," "Ladies' Man" and others, he is slyly funny. There's a winsome nonchalance about him when he sings lines such as, "I like you, like the raindrops on my coat / Yeah, I like you. Like the words that I just wrote," against a minimalist, new-wave backdrop. 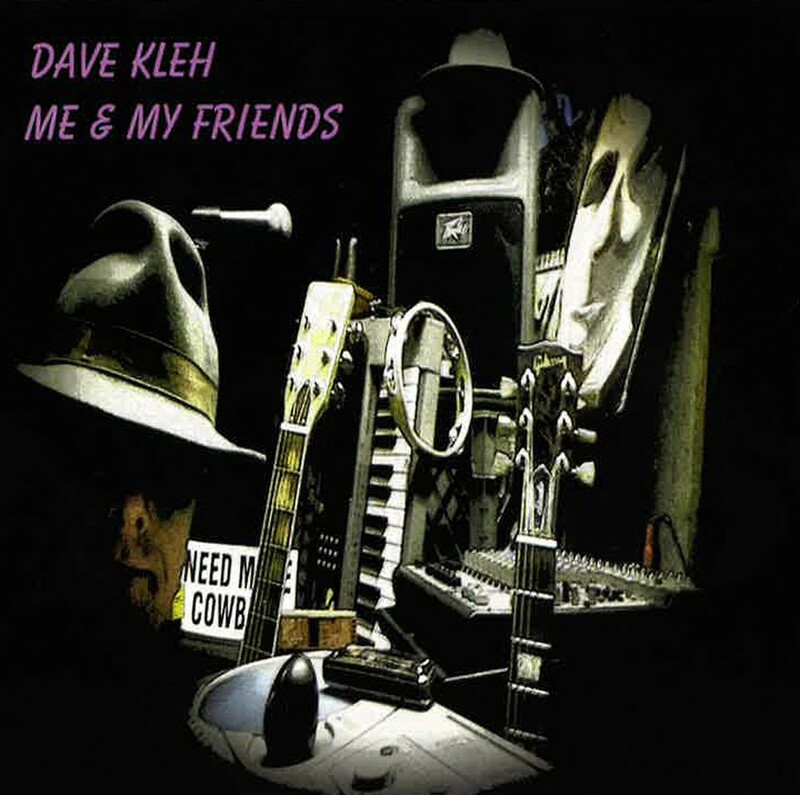 Dave Kleh may be an enigma who has never really gotten his musical due. Me & My Friends likely won't change that. But it does offer a glimpse at an unusual songwriter who certainly deserves attention. The Fizz play a release party for Me & My Friends at On Tap in Essex Junction on Wednesday, April 16. The album is available at cdbaby.com.